Genealogy and DNA site Ancestry once partnered with Google’s stealthy life-extension spinoff, a company called Calico, to study the genetics of longevity. The new study suggests that our genes play less of a role in how long we live than previously believed. Instead, traits and behaviors that include everything from diet and exercise to friendliness appear to play a strong role in longevity. But surprisingly, we still pass these traits on through generations — mostly by picking partners who look and act like us, the researchers suggest. The road to achieving a long life is littered with hype. The usual life-extension suspects include pricey pills and supplements; the peculiar involve infusions of young blood and chambers pumped with sub-zero temperatures. Then there’s science. And one scientific factor that has long been presumed to dictate much of how long we live is our DNA. For decades, it was assumed that the genes we inherit from our parents explain anywhere from 15% to 30% of the variations in longevity that are observed between people. But a new study that came from quiet collaboration between genetics company Ancestry and a Google life-extension spinoff called Calico suggests that our genes play less of a role in our lifespan than we thought. Instead, traits and behaviors that include everything from diet and exercise to friendliness appears to play a strong role in longevity. Surprisingly, we still pass these traits on through generations — mostly by picking partners who look and act like us, the researchers report. In essence, the findings suggest that people effectively transfer longevity from one generation to the next much in the same way that wealth and socioeconomic status are passed from parents to children: by choosing partners with attitudes and attributes that mirror our own, regardless of how different their DNA may be. For decades, researchers studying longevity and genetics had estimated that the genes we inherit from our parents play a significant role in determining how long we live. Previous studies suggested that genes account for as much as 30% of the total variability in lifespan between individuals. But the new study from Ancestry and Calico indicates that our DNA may be much less important in determining longevity than traits and behaviors like diet, exercise, and personality. After looking at data from more than 54 million family trees and the birth and death information for over 400 million individuals, the researchers concluded that our DNA accounts for less than 10% of lifespan variability. 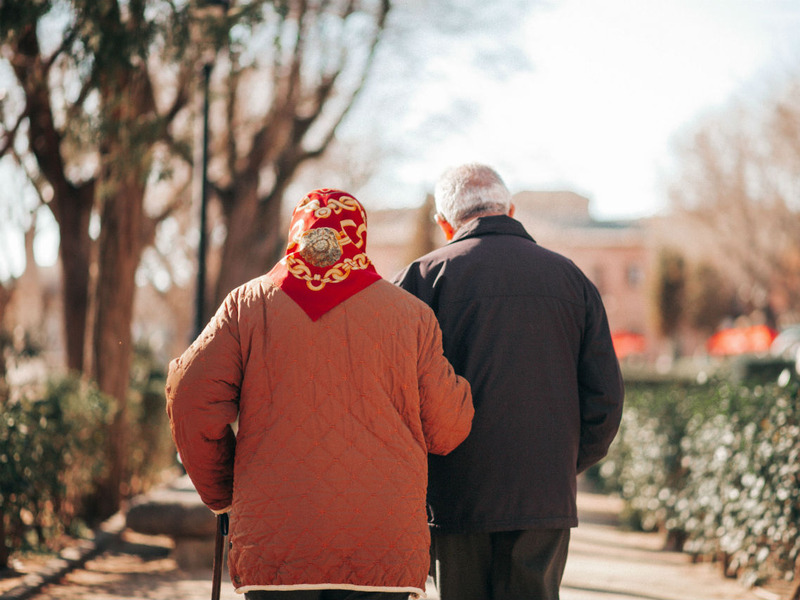 „The true heritability of human longevity for birth cohorts across the 1800s and early 1900s was well below 10%, and … has been generally overestimated due to the effect of assortative mating,“ the scientists wrote. Put another way, we tend to pick partners with attitudes and attributes — from eating and exercising to friendliness — that mirror our own. And as a result, we tend to live similar amounts of time, and have children who do as well. Previous studies shed light on how important lifestyle factors are when it comes to how long we live. In a recent study published in the journal Circulation, for example, scientists pinpointed five lifestyle factors that appear to be linked with a significantly longer lifespan, judging by the outcomes of two long-term studies that involved about 123,000 adults. Do at least 30 minutes of cardio exercise every day. Drink no more than 1-2 alcoholic beverages a day. Conscientiousness, or being less likely to take risks but more likely to be thorough and efficient. Openness, or being willing to lend an ear to new and different ideas and concepts. Being able to openly express one’s feelings. Taken together, the findings suggest that how long we live may be less a matter of what we’re born with than the circumstances in which we live and the choices that we make. Those choices, as the Ancestry and Google researchers acknowledge in their new paper, tend to be based on everything from social status to wealth and then, just like genetics, passed on from one generation to the next. SEE ALSO: DNA-testing company 23andMe has signed a $300 million deal with a drug giant. Here’s how to delete your data if that freaks you out.